Alabama is full of great off-roading trails. You can hit the Talladega National Forest, Stony Lonesome OHV Park, or one of the other options at your disposal. First, though, you need an off-road vehicle that’s up to the challenge. 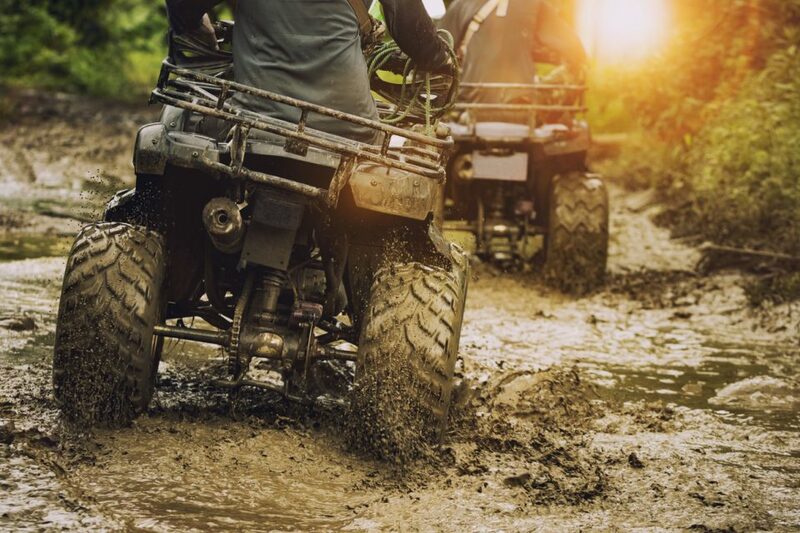 A new Polaris ATV or UTV is just what you need for your next adventure. The Polaris Sportsman is known as the most popular ATV in the entire world. Those aren’t just words, either. More people buy this than any other automatic 4×4 ATV. Everyone would understand if the Sportsman stayed the same year after year, but the 2018 Sportsman 450 H.O., 570, and 570 SP saw some huge improvements that make it even more fun to drive. First, there’s the improved driveline. The half shafts and new joints are 50 percent stronger, improving the ATV’s durability. That means you can take it out on some rough trails without fear. It’s more comfortable too. Polaris added new side panels, so you will feel stable and comfortable while you’re flying down the track. Then, there is the improved display. Now it has a digital gauge that you can easily read even when the sun goes down. Do you want something that can perform in all situations? Then a UTV is just what you need. These vehicles can handle just about any job you throw their way, and they are crazy fun to drive. When people think of a UTV, the Polaris Ranger is typically what comes to mind. In fact, it’s so popular that other manufacturers have tried to copy it, but none can deliver what the Ranger can, and it keeps getting better. Polaris made some big strides with the 2018 model. The company used a one-piece chassis for the 2018 model, making it easier for the Ranger to tackle off-road duties. Also, it closed off all the areas that the skid plate doesn’t cover, so you don’t have to worry about trapping any mud in the underside now. Also, because it changed the suspension system, it was able to increase the ground clearance to 13 inches. You’ll enjoy having that extra clearance when you make your way through the national forest and other off-roading sites. Oh, and the turning radius is worth mentioning too. It’s always been a selling point for the Ranger, but it’s even better now. The new design has tighter steering that improves the radius, and it’s also more responsive. At the same time, the steering is speed-sensitive, ensuring you stay in control. These are just a couple of your options when it comes to Polaris ATVs and UTVs. See the full lineup in person at Bama Buggies in Tuscaloosa, Alabama. We can even give you some tips on our favorite trails.